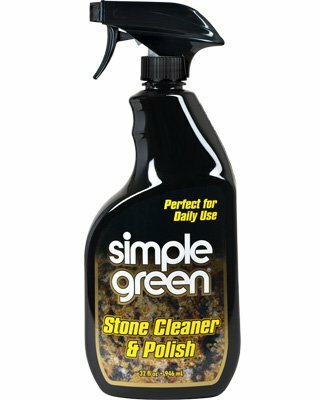 Simple Green Stone Cleaner & Polish cleans and shines stone in one easy step. It is ideal for natural, synthetic and engineered stone. The easy to apply, no-wait formula is perfect for daily use. Stone Cleaner & Polish is perfect for use on surfaces such as marble, granite, quartz, limestone, ceramic, porcelain, engineered stone, Corian®, Silestone®, and more.